These news briefs appear on the October 10 edition of The Education Town Hall. Full recording of this week’s show, which includes discussion of the educational needs of returning citizens and more on DC-CAS scores and the concept of “proficiency” (see Greater Greater Education). 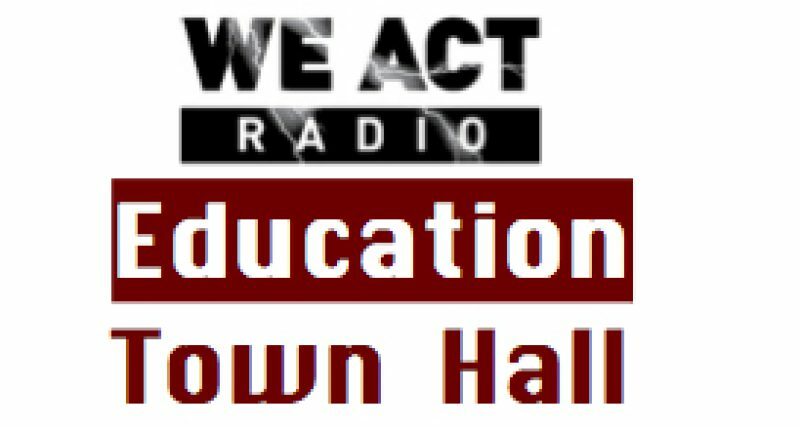 The Education Town Hall is broadcast Thursdays at 11 a.m. (Eastern) on We Act Radio. Full recordings are archived for later discussion and sharing. Join the (live) conversation by calling 202-889-9797. Ivy Academia: Do Laws Apply to Charter Schools? Founders of Ivy Academia public charter school in San Fernando Valley California were sentenced on Friday last week in a case of misappropriating over $200,000 in public funds. The LA Times reports that Ivy Academia’s founder faces 4 years and 8 months in state prison. His wife, who played a lesser role in school finances, was sentenced to 45 days in County Jail along with 320 hours of community service and five years of probation. The defense argued that charter schools should be treated like nonprofits, with flexibility in how they spend their money. And the California Charter Schools Association filed a brief arguing that charter schools are exempt from criminal laws pertaining to public schools. This turn of events was highlighted by education advocate Diane Ravitch in her October 9 blog. Ravitch also notes cases in which charter schools in other states argued that their status as private corporations puts them outside the purview of state labor laws. Are charter schools, which are publicly funded by our tax dollars, private entities when it comes to criminal, labor, and other laws? Meanwhile, Nate Davis, Executive Chairman of the corporation K12, responded to recent criticism of the on-line learning company. For years, K12 students have tested poorly on standard educational instruments, and recent reports illustrate the company’s failure to keep track of enrolled students and its aggressive marketing to at-risk students. “We have improved the quality of our outreach and enrollment practices, and focused on improved outcomes as measured by traditional state tests,” Davis told Tom Vander Ark, of the Getting Smart blog, last week. This brief reporting spot does not allow for careful analysis of this situation. Instead, I ask listeners to compare Getting Smart’s list of factors affecting on-line schooling results with long-noted factors affecting test results in brick-and-mortar schools: When teachers unions and advocates for public schooling make similar points, they are accused of fearing high standards or making excuses. And Davis is quoted in the Getting Smart blog as saying he doesn’t want to make excuses. In recent years, however, when K12 was faced with low test results, the company hired lobbyists to argue that its students should be subject to alternative testing.